“Does not compute” – the Robot would look at a balance sheet that, well, doesn’t balance and say “does not compute.” An arts organization whose expenses exceed its revenue, year after year, is not sustainable. This is an organization with a broken business model. The sooner the board of directors (if a nonprofit) or executive director recognize this the greater the likelihood the problem can be rectified. “I compute it to be an ionic directional probe searching for receiving outlets” – is the organization searching for receptors – I mean audience – and not finding any? Perhaps this is another symptom of a broken business model: there is not a “receiving outlet” for the value being produced. Find a new outlet, build a new pipeline to it, or change the “directional probe” so it makes for a better fit. “Don’t leave me alone. Wait for me!” The leadership team is split, going in multiple directions simultaneously, leaving important people behind. Losing sight of organizational mission or, conversely, having board members who can’t keep up with it, drags down the forward momentum of an organization. “Yours not to question why; yours to do as I say or die.” When a board blindly follows a visionary leader, important governance and oversight issues may be neglected, leading to problems down the road…like 1, 2, and 3 above. “Oh, John, you can’t! It’s much too dangerous.” Naysayers may prevent an organization from taking the risks necessary to achieve true innovation. “I’m a doctor, not a space explorer” An organization needs a balanced board with expertise on the board and staff that can support its success. If there is nobody with marketing expertise, or nobody who can put together a budget, there’s going to be a problem. This entry was posted in Arts entrepreneurship, arts infrastructure, Arts management, Uncategorized and tagged art market, arts management, audience development, board governance, infrastructure, Lost in Space, nonprofit theatre. Bookmark the permalink. 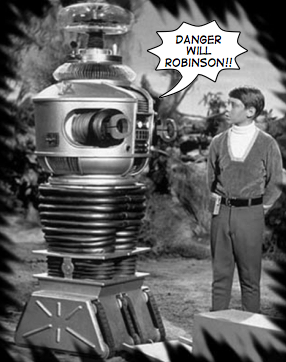 Such a fun and memorable post, Linda, especially for those of us who enjoyed “Lost In Space”. You put a smile on my face – thank you!